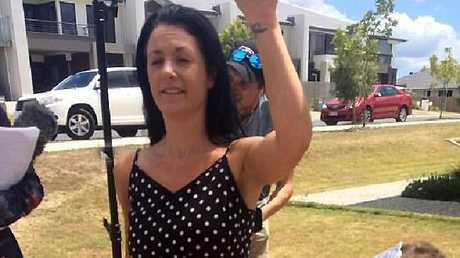 A QUEENSLAND mother whose daughter was trapped alone in a bus for hours after her first day of school has asked for donations and threatened to sue people who have criticised her parenting. 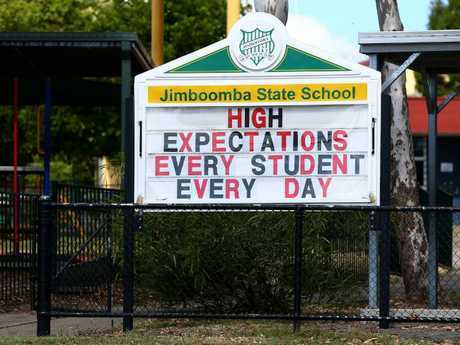 Bobbie Langford said she was panicking on Monday afternoon when her daughter Alyssa Jayde New failed to return home from her first day of year one at Jimboomba State School. It wasn't for five hours that the little girl was found banging on a bus window from inside the vehicle at the Logan depot. Ms Langford told reporters in Yarrabilba that her daughter was "petrified, screaming and crying" when she woke after sleeping for hours inside the bus. Alyssa's mother has faced criticism from fellow Yarrabilba residents and members of the wider public since it was reported that she was not waiting for Alyssa at the bus stop and failed to contact police when she realised she was missing. 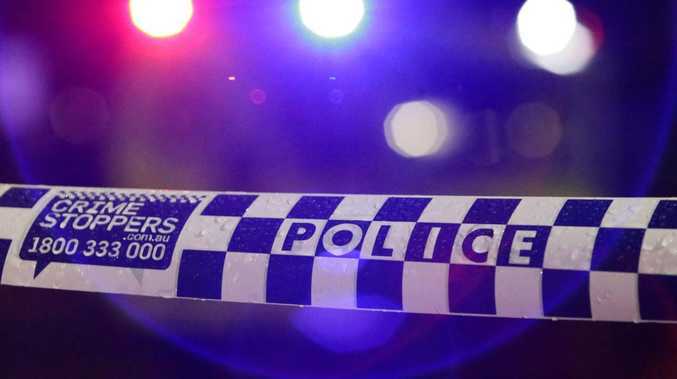 It was Ms Langdon's ex-partner who called authorities, sparking the deployment of "a significant amount of resources to locate the child", police said. But Ms Langdon has defended herself on social media, threatening legal action against those who "made comments on my life and the way I live". "How f***ing dare you make judgment on me or my family over social media," she replied to one critic. The defensive mother has also called for donations for her family in the wake of the "stressful" incident. In a now removed Facebook post, she asked people to transfer funds into her bank account so she could "take (Alyssa) to Dreamworld for a few days". "All donations welcome to help Alyssa," she wrote. Ms Langdon has also threatened legal action against the bus company, Logan Coaches, and said she would withdraw her daughter from the school. Logan Coaches said it was investigating the ordeal and had stood down the driver until the matter was resolved. It has been claimed the bus driver did not realise the five-year-old had boarded the bus along with four other students, and noticing the other students had all exited the bus, he did not check for any other kids upon arriving back at the depot. Detective Inspector Mark White said Alyssa was ultimately found by a bus company employee, who contacted police. "The child was located on the bus and the child had been asleep on a seat at the back of the bus," he said. Police had also carried out a "wideranging" search for the girl. 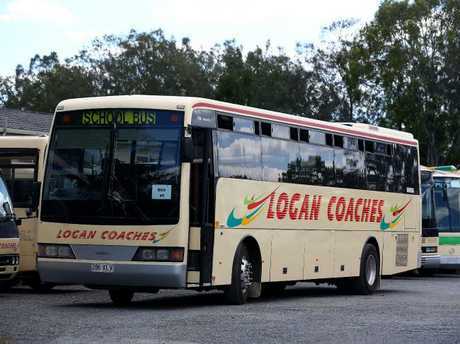 Queensland Premier Annastacia Palaszczuk yesterday lashed out at the bus company involved in the incident, Logan Coaches, for not completing a compulsory search of the bus at the end of the school run. "It appears that the driver did not do the end of run sweep as drivers are supposed to with those bus companies," Ms Palaszczuk told reporters. "It's a timely reminder for the bus companies to ensure that that is done." Ms Palaszczuk said she was "glad she's safe and well," adding the Department of Transport would write to bus companies reminding them of their obligations to complete a check at the end of the bus run. Queensland Bus Industry Council's executive director David Tape said they were deeply concerned by the incident and bus drivers doing an on-board walk was standard practice. "As an industry, we take our responsibilities very seriously, and nothing is more important than the safety of our children," Mr Tape said in a statement. Mr Tape will meet with Transport Minister Mark Bailey this week to ensure there are no repeats of the incident.